At Out of the Ark Music we believe in giving all schools access to good-quality singing resources and fully uphold the belief that singing can and should be inclusive. With that in mind, we have worked closely with British Sign Language (BSL) specialists, teachers, deaf and hearing adults and children to produce instructional signing videos for 10 songs taken from our extremely popular and much-loved Songs for EVERY... series, as well as 3 from our brand-new Spring Assembly Songs — the newest Addition to the Mark & Helen Johnson songbook collections. 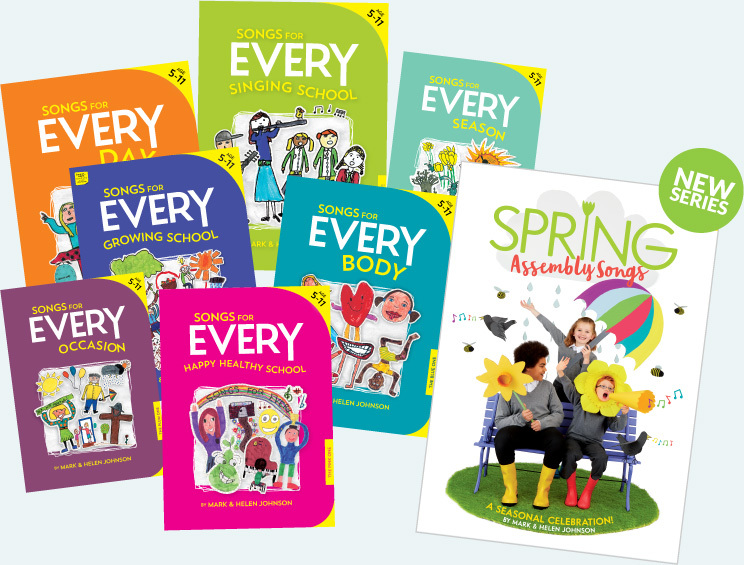 Each title in the Songs for EVERY series, and the NEW Assembly series, has one signing video which will be made available for FREE for you to stream when you purchase any Songs for EVERY or Assembly series title online via our website*. If you purchase the Songs for EVERY Box Set, you will receive all 10 signing videos in your online account. Sign language is literally a hands-on teaching tool that helps ALL children to learn. Watch our video to find out more, then give it a go and you’ll see what we mean!